Flee the oppression of inbounds authorities with the MSR Flight 2 Pole. 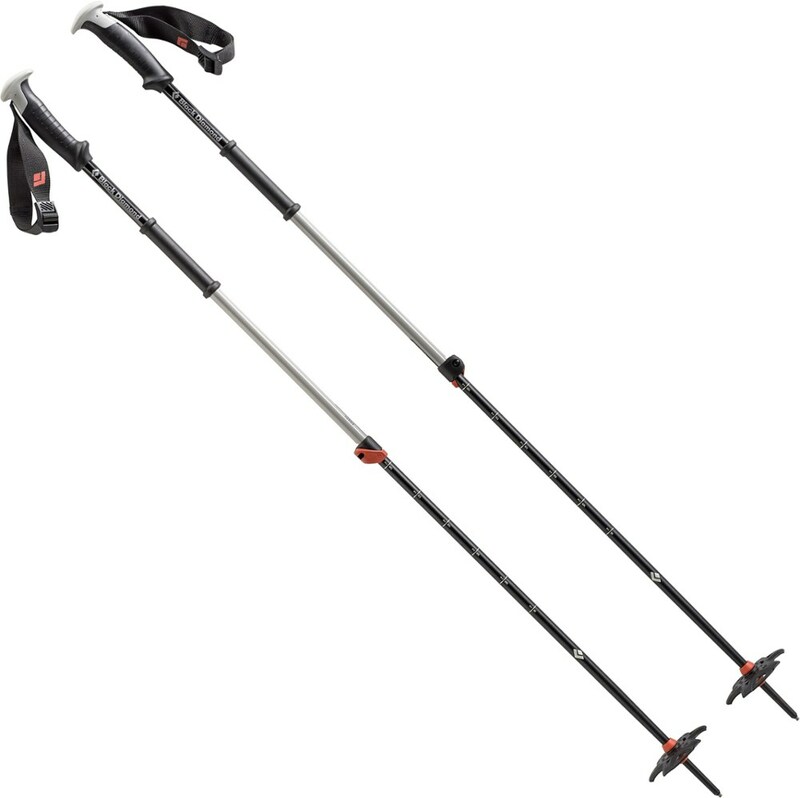 Made of tough, ultralight 7000-series aluminum (the Flight 2 is the lightest trekking/skiing pole in MSR's line) and featuring a freeze-resistantant, one-hand SureLock system, the Flight 2 can stand up to whatever punishment you dish out without slowing you down on the skin track or the descent. The locking mechanism is so easy to use that you might actually start shortening your poles up on switchbacks, and strong enough that it can support nearly 250lbs of force, so it won't collapse if you're jamming on it to get through a precarious spot. It's also designed to keep you, and itself, in one piece, with a breakaway strap that pops out of the grip if the pole gets lodged, saving the shaft and your shoulder from inopportune destruction, and a grip catch so you won't pop out your shoulder or hurt your back fiddling with climbing bails or tech bindings. On Sale. Free Shipping. MSR Flight 2 Trekking Pole FEATURES of the MSR Flight 2 Trekking Pole SureLock(TM) adjustment system prevents loosening and slipping during use Efficient, glove-friendly, one-handed length adjustments at the grips Breakaway straps and non-absorbing, contoured foam grips 7000-series aluminum is lightweight and very strong Poles collapse into 2 sections (29in.) quickly and easily when not in use Include a catch for raising heel lifts on your snowshoes so you don't have to bend over to do it Sold in pairs Two-section poles are the top choice of backcountry skiers, snowshoers and winter hikers who prefer a streamlined, minimalist design If the product name has the word in.pairin. in it, that means it comes with TWO trekking poles. If the product name says in.singlein. 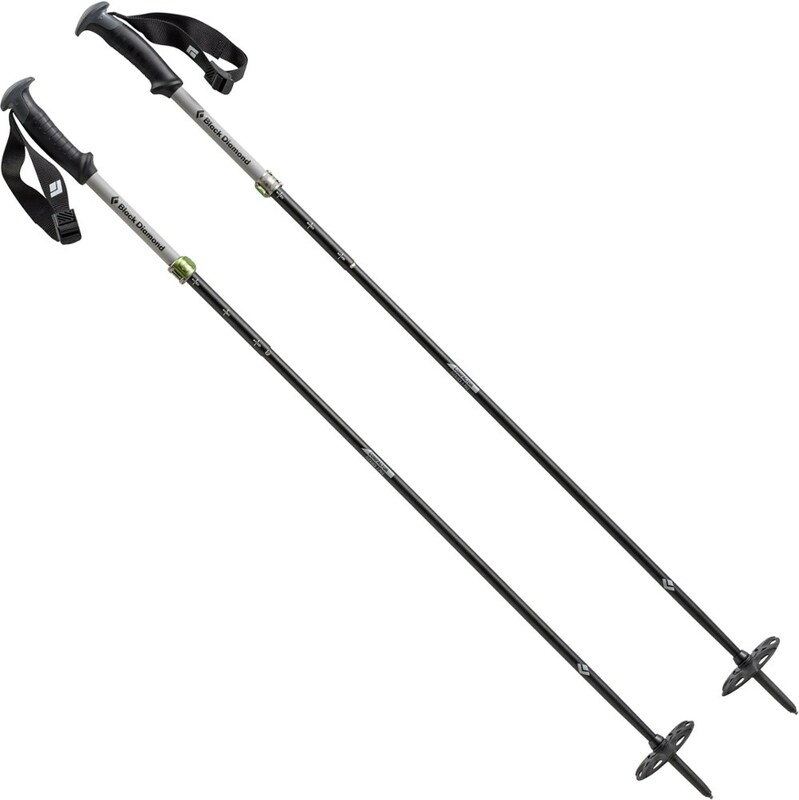 or has options to select a size, it means that particular style only comes with ONE trekking pole. Sorry to be so confusing. Please don't hate me. 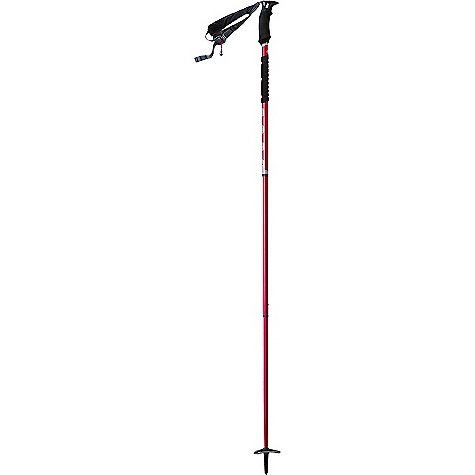 The MSR Flight 2 snow pole is ultralight and streamlined in design. The Flight 2 sheds weight, not performance for those looking to move as fast and as light as possible through the backcountry. The two-section, minimalist Flight 2 supports backcountry expeditions where poles are used mostly in-hand. It features the simplicity and reliability of manual SureLock push-button adjustments. 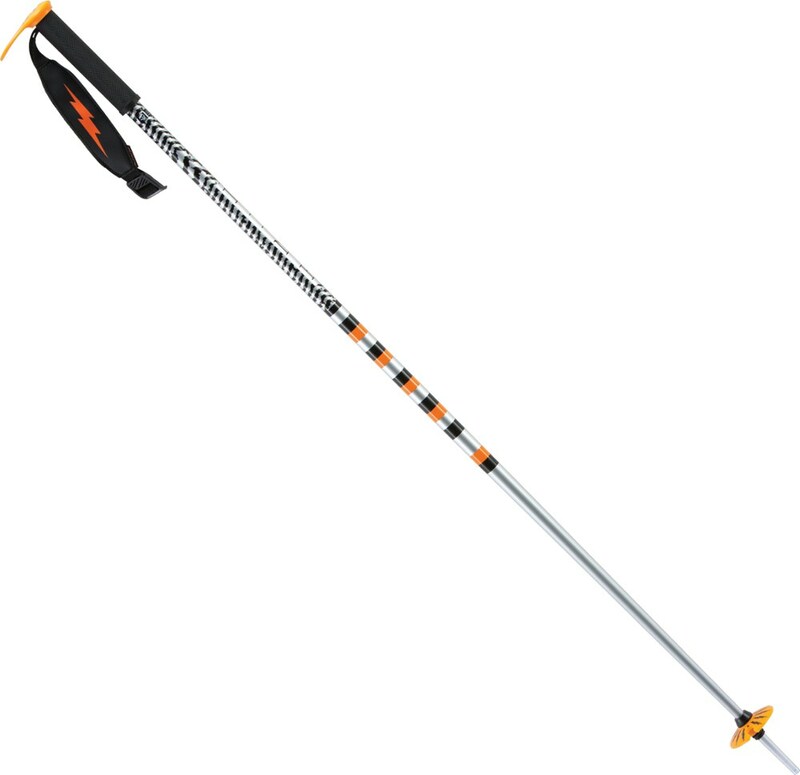 MSR Flight 2 Backcountry Poles - The Flight 2 Backcountry Poles are engineered for fast-and-light ski mountaineering, splitboarding and snowshoeing. They are constructed of ultralight, aircraft-grade aluminum in an adjustable 2-section shaft. Unlike friction-based adjustment-locking mechanisms that can sometimes slip, Flight 2 poles are built around the MSR exclusive SureLock Adjustment System, which utilizes a positive-locking design for lightweight, reliable performance, and confidence on challenging terrain. These poles feature a low-profile adjustment high on the pole to reduce shaft weight for an effortless swing and a breakaway winter strap designed for glove-friendly adjustments and to release should the pole get accidentally lodged. Finished off with hydrophobic foam grips that won't conduct cold. These ergonomic grips even feature a catch for raising AT and snowshoe heel lifts. 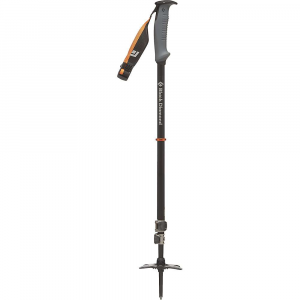 The MSR Flight 2 snowshoe poles feature an ultralight, minimalist design and are best used for backcountry trips where the poles are used mostly in hand. Glove-friendly push-button adjustment lets you collapse the Flight 2 poles down quickly and easily; poles collapse down in 2 sections to 29 in. SureLock(TM) adjustment, with a positive-locking push-button mechanism, offers the confidence of absolute, nonslip performance in the field. Breakaway straps release from the grips if your pole becomes lodged; glove-friendly design lets you easily reset or adjust the straps in the field. Non-absorbing, contoured foam grips are shaped to work with a broad range of hand sizes and deliver comfort on long treks. Ultralight 7000-series aluminum has an excellent strength-to-weight ratio along with durability for demanding use. MSR Flight 2 pole grips feature a catch for raising heel lifts on your snowshoes so you don't have to bend over to do it. The MSR Flight 2 is not available from the stores we monitor. It was last seen January 9, 2018	at Backcountry.com.